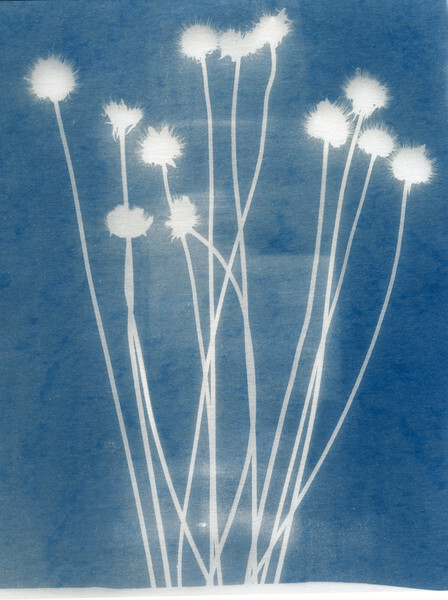 "Winter Blooms" -- I created this image by taping some dried flower blooms onto the cyanotype treated paper and exposed them to the sun. The wind caused the seed pods to move during the exposure. I like how it shows the vibrancy of life awaiting the arrival of spring.